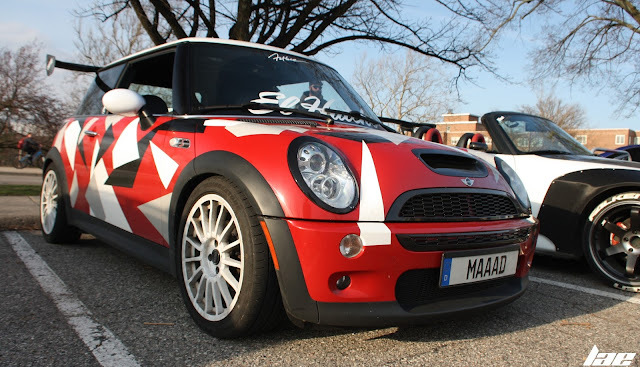 You may have seen my post last week from Cars and Coffee, of the pair of 05 Mini's. Here is another. This 05 Mini Cooper S, owned by Alex, the social media president for the Michigan State University Student Car Club, has an interesting story. When Alex first joined the club, he was driving a Chevy Cruze Eco, which he shared with his brother. We would always have club discussions over what car Alex should buy next. So, over the next summer, Alex test drove almost every car in the club, trying to get a better idea what he wanted as his own First car. For a while, he was dead set against Front Wheel Drive, and wanted a WRX. 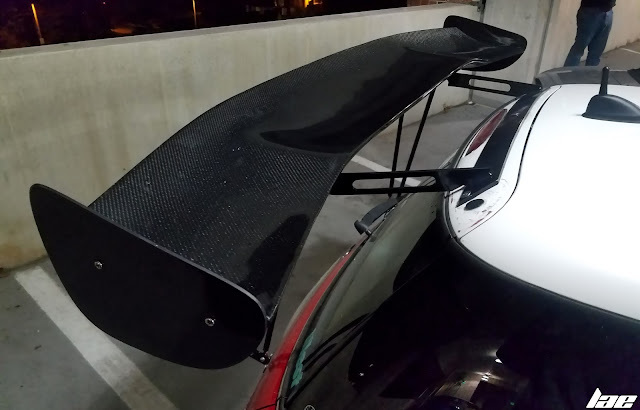 Soon after, he wanted an FR-S. 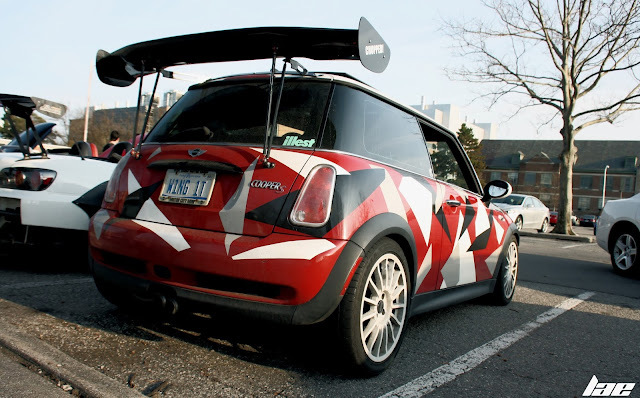 Eventually, though, he drove a Mini Cooper S. Not too long after, he picked this car up. Since he's owned it, he's added this interesting vinyl, among other things, which make the car impossible to miss. 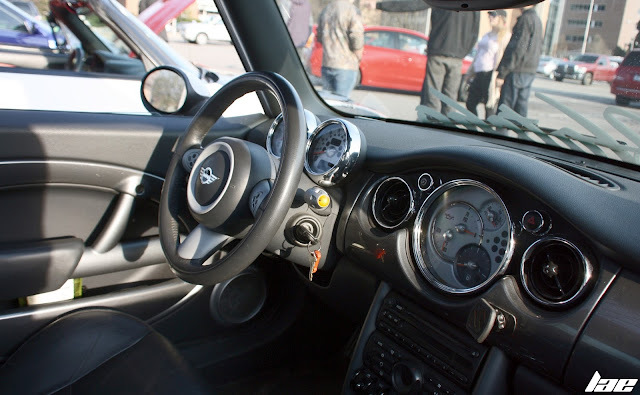 I've always liked the interior of the Mini, with its comically large gauges, the concentric circles of the steering wheel and airbag, and the level of style you don't see in other manufacturers. 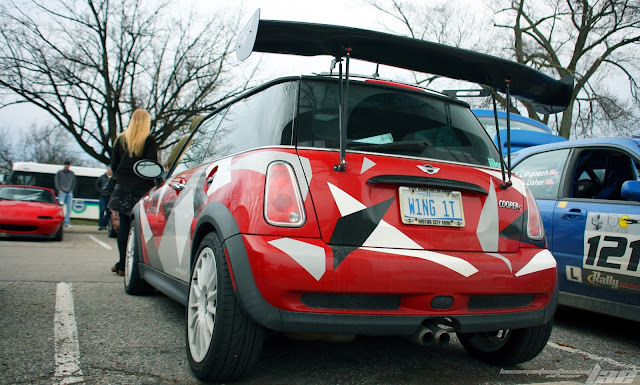 The other mod that you notice right away, after the vinyl, is this...the Giant rear wing. In addition to the wing, though, he's installed a set of 17" Braid Winrace tarmac rally wheels, lowering springs and a 22mm rear sway bar. Alex tells me there's a new supercharger pulley and tune happening in the near future. 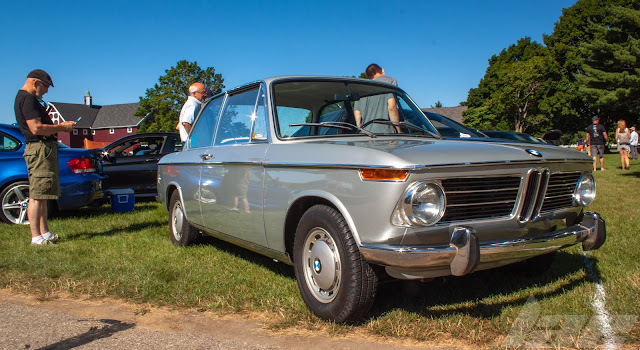 In years past, varying brands have shown high numbers in our club. Lately, the Mini is winning. 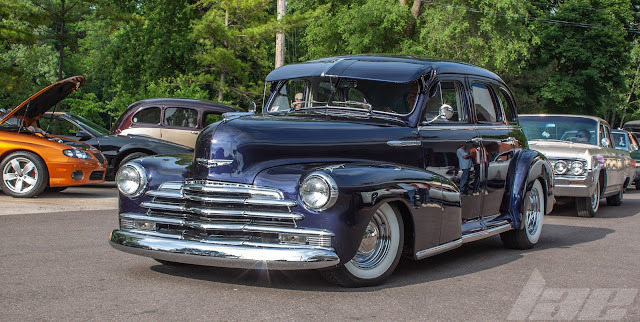 Stay tuned for more content, car features and car news this week!